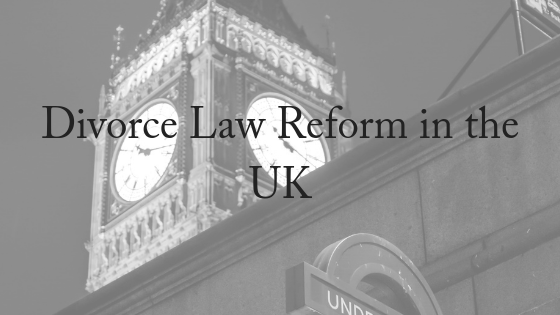 Amid mounting pressure from the community, the UK government has announced plans to modernise the “archaic” state of divorce law in England and Wales. At present, people seeking a divorce have to prove at least one of five facts. Three of these are based on the idea of “fault”: adultery, behaviour or desertion. 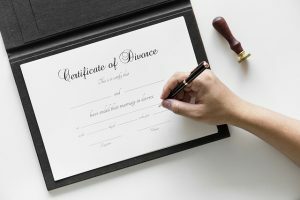 The other two are based on separation: a period of two years will suffice if both parties agree to the divorce, but a period of five years is required if one party objects. Divorce law reform would mean that couples no longer have to prove who is at fault for the breakdown in their relationship, bring the UK into line with other jurisdictions, such as Australia. In a release shared this weekend, the government said it wants to bring divorce law up-to-date by removing the need to show fault and the need to prove a period of time spent living apart. The government has faced increased pressure to reform the existing divorce law since July, when the Supreme Court ruled that Tini Owens was not entitled to divorce her husband on the grounds that she is “desperately unhappy” in their marriage because he had objected. Tini Owens, 66, has asked the Court of Appeal to overturn a family court ruling, which said she couldn’t divorce her husband Hugh Owens, 78. The court heard her case was that the marriage had broken down, but Mr Owens disagreed and said the couple still had a “few years” to enjoy. Judge Robin Tolson ruled against Mrs Owens in the family court last year, concluding that her allegations were “of the kind to be expected in marriage” and refused to grant a divorce petition. Three appeal judges, led by Sir James Munby, the most senior family court judge in England and Wales, analysed the case at a hearing in London. The court was told the couple had married in 1978 and lived in Broadway, Worcester. Mrs Owens had made 27 allegations about the way Mr Owens treated her, including that he was “insensitive” in his “manner and tone” and said she was “constantly mistrusted” and felt unloved. Mr Owens, a retired businessman, disagreed and denied allegations made against him. Mr Marshall said judges had to consider the “cumulative effect” of what might be classed as a long list of trivial matters. Barrister Nigel Dyer QC, who represented Mr Owens, said appeal judges should not overturn Judge Tolson’s ruling. Judges were told that Mrs Owens had an affair which lasted less than a year and the court heard the couple, who have grown-up children, slept in different rooms. Specialist UK divorce lawyer Ayesha Vardag said judges should not compel people to stay married. She said it was “beyond archaic” that it should have to be proved to a judge. The Family Law Act 1975 established the principle of no-fault divorce in Australian law. This means that a court does not consider which partner was at fault in the marriage breakdown. The only ground for divorce is the irretrievable breakdown of the relationship, demonstrated by 12 months of separation. This means that for a couple to divorce, it needn’t be proved that either party is ‘at-fault’ for the breakdown of a marriage. The actions of one party in contributing or causing a marriage break down are not considered by the court. If you need assistance with any aspect of separation and divorce, please contact our friendly, experienced team today. We offer a FREE, 10-minute phone consultation.